About Us | Farah Financial Services Inc.
Farah Financial Services is an independent firm specializing in risk management, insurance, and investment solutions. She is a Chartered Life Underwriter (CLU), Certified Health Specialist (CHS), and a proud member of Million Dollar Round Table ( MDRT), the International Premier Association of Financial Professionals, and the founder of FarahFinancialS.com. We, at Farah Financial Services, have had the honor and pleasure to serve as the trusted advisor of Professionals, Doctors, Dentists, Business owners, and Families. Our Client's testimonials on our website demonstrate how we are focused on EXCELLENCE. Farah and her team of experts help clients to avoid any future crisis in the event of illness, disability, retirement, or death. Her clients enjoy peace of mind knowing that all of their personal and financial affairs have been looked after in a professional, cost-efficient, and caring manner. She is always there for her clients. Farah Jahed enjoys several professional designations including an Honour’s Bachelor of Science in Computer Software Engineering from Melli University. Farah is committed to continuing education and has completed the LLQP ,CLU & CHS designations. 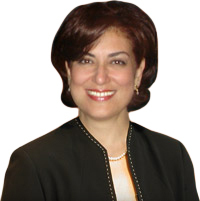 Farah Jahed is a Chartered Life Underwriter (CLU), Certified Health Specialist (CHS), a proud member of Million Dollar Round Table ( MDRT), the International Premier Association of Financial Professionals, and the founder of FarahFinancials.com. She is widely recognized as the Top Insurance Advisor in Ontario and her community. Her enthusiasm, dedication, and experience are recognized by Canada's leading insurance companies. Those qualities also make her an indispensable resource for her clients. If you live in the Toronto area, you've likely heard her on the only community ’s radio station educating about the need for insurance and other estate planning issues. She regularly contributes articles in community’s weekly publications. 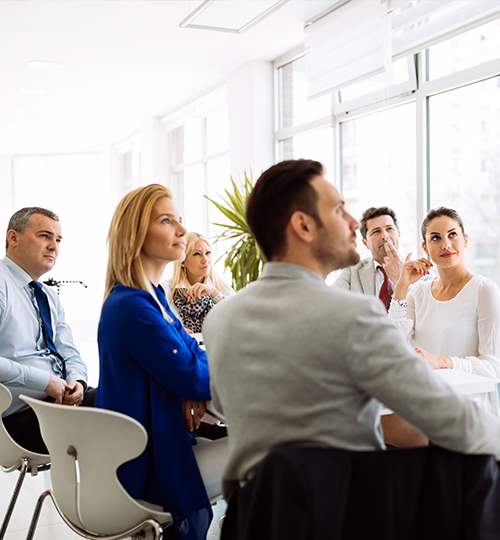 She conducts informative seminars for professional associations and their members. She also has been a keynote and guest speaker on many other professional and public seminars. IWOO, Iranian Women of Ontario Organization. Mohandes , Canadian Society of Iranian Engineers and Architects.